Hoping you hired the tight team isn’t enough – Tackle employee fraud before it starts. Employees are one of your biggest assets, even though they don’t appear on your balance sheet. They help you to operate your business and are the faces of your company brand. But employees can also be a liability if they decide to steal from you. Small businesses can help to protect themselves from fraud with these tips. Before hiring someone on the spot in their first interview, take the time to research their background. Call previous employees, their references, and always do a background check. If something doesn’t check out, you’ll be thankful that you put in the effort before something happens to your business. You may be impressed by the employees who haven’t missed a day of work in years. While these sound like loyal employees, it could be a sign that these members of staff have something to hide and are worried that someone will detect their fraud if they were out of the office for a period of time. 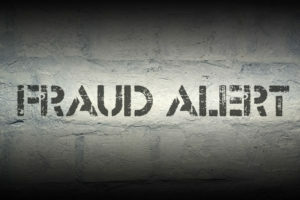 48 percent of small businesses have a Code of Conduct – a simple anti-fraud tool. Encourage employees to come to you with any issues and inspire trust in your team. If your business handles money, ensure that all slips, records, and reports are noted about profits and losses at the end of each day. If small amounts of cash are missing each day, it may be worth to do some digging. No single employee should handle everything financial. For example, the employee who writes the checks should not be the employee who reconciles the bank statement. Delegate tasks to different people at different times so that other employees can check for discrepancies. While you focus on improving your business, leave your commercial insurance in the capable hands of Abbate Insurance. To get started on securing your policy contact us today. We serve New Haven and neighboring cities in Connecticut.